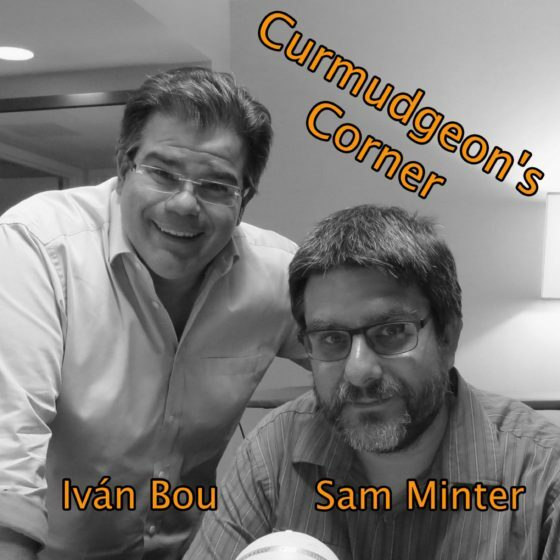 On this week’s Curmudgeon’s Corner, guest host Brandy joins Sam to talk about this week’s news. The main topics for the week are of course the events in Charlottesville, everybody’s reactions to Charlottesville, the reactions to the reactions to Charlottesville, and the debate over Nazis and free speech. In addition, they also discuss Bannon’s departure, what that means to the administration, if we’re heading toward an invocation of the 25th amendment, Bannon’s “war”… and if the left should double down on their base or try to reach the Obama voters who flipped to Trump in 2016… and a few other things too. What about politicians and war? What about private speech, newspapers, websites? On this week’s Curmudgeon’s Corner Sam and Ivan hit three big issues: Trump’s accusation that Obama ordered wiretaps, the new Executive Order on immigration, and the plan to replace Obamacare. Along the way we also touch on an odd constitutional edge case, how Priebus is doing as Chief of Staff, and the usual weekly Russia updates. Does it get struck down again? Why not actually repeal first? With less than two weeks until the election, Curmudgeon’s Corner this week is of course fully election themed. We discuss the campaign developments of the last week, but also look at larger themes of the divisions in today’s America, what may happen after the elections, how Trump took over the Republican party, and… oh… Ivan got polled! Does Trump know he is going to lose? Ivan got polled by Gravis! On this week’s Curmudgeon’s Corner… what else? Trump, Trump, Trump, Trump. After a short bit on Hurricane Matthew, we dive into Trump’s taxes, then the Veep debate. We had originally ended the show there, but after the big Trump news Friday, we came back and recorded a bonus segment on the 2005 tape and the beginnings of the aftermath. The situation is still unfolding, but we had to stop and actually get the show out! How did he lose the billion? How much does this hurt Trump? Too late to dump Trump?